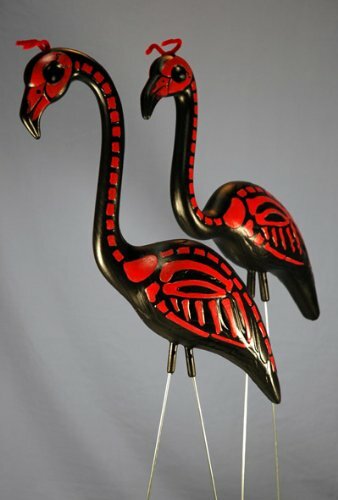 If you love for your yard to have a sort of kitschy or retro look on Halloween, then you just must have some Halloween flamingos in the mix. I’m not much of a fan of the pink plastic flamingos in the landscape, although many people do love them. However, that being said, I think the ones for Halloween are just a hoot and a half! This year there are three different styles to choose from which makes it even more fun! I don’t know I just might have to have a set of each one before it is all over. 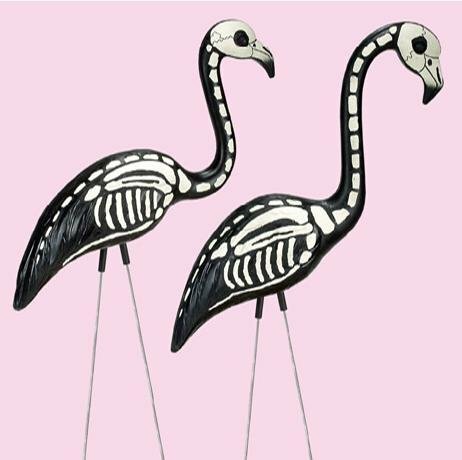 The first time I saw the skeleton flamingos for Halloween, I thought they were just the funniest thing I had ever seen. That was a few years ago and I still love these plastic birds molded to be a perfect set of Halloween flamingos for the yard. You get a set of two with your purchase and each stands about 22 inches tall in your lawn. These are sometimes referred to as “skele-mingos”. Now isn’t that just a hoot? If you aren’t that keen on skeletons, perhaps you would like the ones that look like the live with the devil. Since so many things at Halloween are associated with the dark underworld where Satan resides and has minions that he sets forth; devil-mingos are a nice fit for the lawn at Halloween. 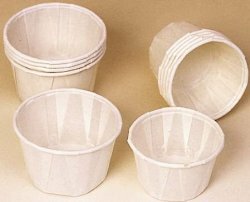 Shoot, these will go with just about any Halloween themed lawn decor. These guys are a little taller at around 33 inches tall and have pipe cleaner horns. I believe these are new this year. At least, it is the first time I have seen them. What is Halloween without a few zombies strolling around the neighborhood? 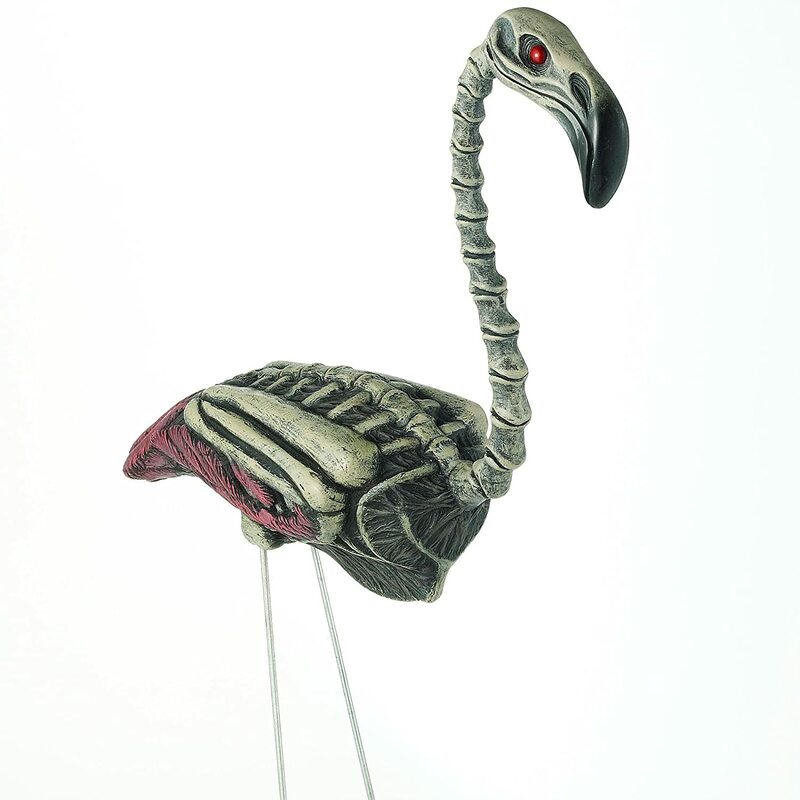 Now, you can have some spooky looking flamingos that are zombies in their own right. These guys stand about 20 inches tall and you only get one of these with your purchase. See what I mean? 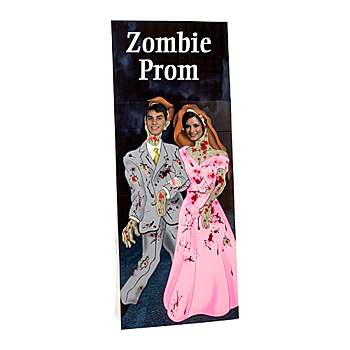 These are just too darn cute for Halloween decor in the yard! Whether you care for the original pink plastic flamingos as lawn decor or not; you have to admit that these Halloween flamingos are really pretty clever. It sure brings the original creation by Don Featherstone back in 1957 to a whole new element. Like I said, I want a grouping of all three styles in my yard this year. How about you? « Halloween Birds Who Are They?